Okay so everyone knows I big chopped again end of last year. Nothing new. But what I’ve been pleasantly surprised by is the number of you who have told me you’d love to cut your hair and try the tapered cut. Some have gone ahead, others are still wondering if they should go through with it. For ladies who are still relaxed and are considering jumping ship to join us naturalistas, you can have a read on my advice here. 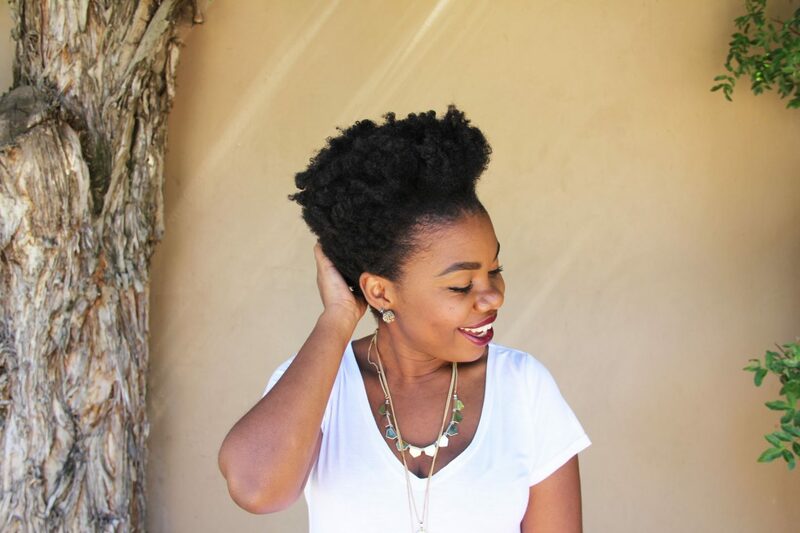 This is particularly for the ladies who are already natural and have grown their hair to a certain length and fancy a change, like I did, and rock the tapered fro. I thought long and (sort of) hard about cutting my hair. I’d flirted with the idea many times the year before I did because my hair was starting to bore me – I’m just keeping it real. It got to a length where I wasn’t enjoying it as much as I used to and I lusted after other women’s shorter do’s. Then as you know, my hair made the decision for me when life blessed me with a baby but in turn took a lot of my hair with it. I had more than a year to consider and reconsider my cut, so take the time to really think about it because once you’ve cut your hair, that’s pretty much it…until it grows back, of course. There are a couple of ways you can imitate a tapered cut with your hair, just to experiment with the look before you actually to the chop. I think this will help you get a rough idea if it’ll suit you before committing to it. If you’re a style freak (like my past self) then yes, a tapered cut isn’t going to offer you as much in terms of style versatility. 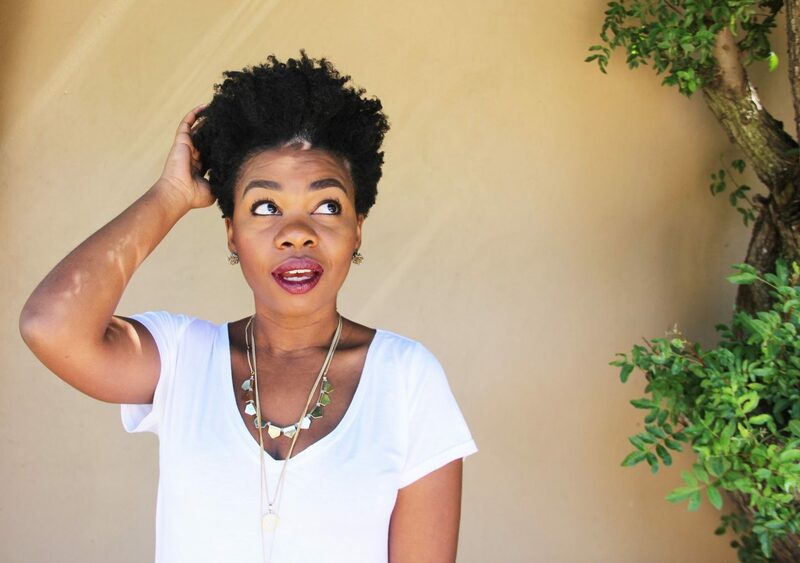 Sure, you can modify your cut by setting it in different ways (twist out, perm rod, Bantu knot out). But if you want a puff? Forget about it. A tapered cut gives you a style already, it shapes your fro in such a way that you can get away with not doing much else to it because it’s a style on its own. Having said that, you can definitely still change it up slightly if you want. But the styles aren’t going to be as drastic as with your longer hair. This is something I faced when I put my thoughts on the table. We’re so obsessed with long hair that we get upset when someone who does have long hair cuts it. Please don’t cut your hair! Why are you cutting it? Keep growing it! I wish I had your long hair. Yeah well you don’t, and you don’t have to deal with it every day, every night, every freaking wash day! A friend of mine kept her long dreads for years because she didn’t want to disappoint people with a cut but she was miserable with the maintenance of it. It’s all good and well to take (important) people’s opinions into consideration but at the end of the day, my time, my products, my money. My hair. I say might because it all depends on how much work you used to put into your longer hair. My experience? The first month or two after my chop was very foreign to me. All of a sudden, I went from sleeping in two big twist pigtails to stretch my hair to about ten of them. By nature, tapered hair is all sorts of different lengths so you need to keep in mind that the top and front sections will need different attention to the back. For me, I figured those two areas out quickly. It was the middle that perplexed me for awhile. It wasn’t quite long enough to do a twist or braid but not short enough for palm rolling. So now that my hair’s longer all around, I’ve gotten more comfortable with styling it. I completely forgot how much drier a TWA is compared to longer natural hair. And there were quite a few other things that I had completely forgotten about. 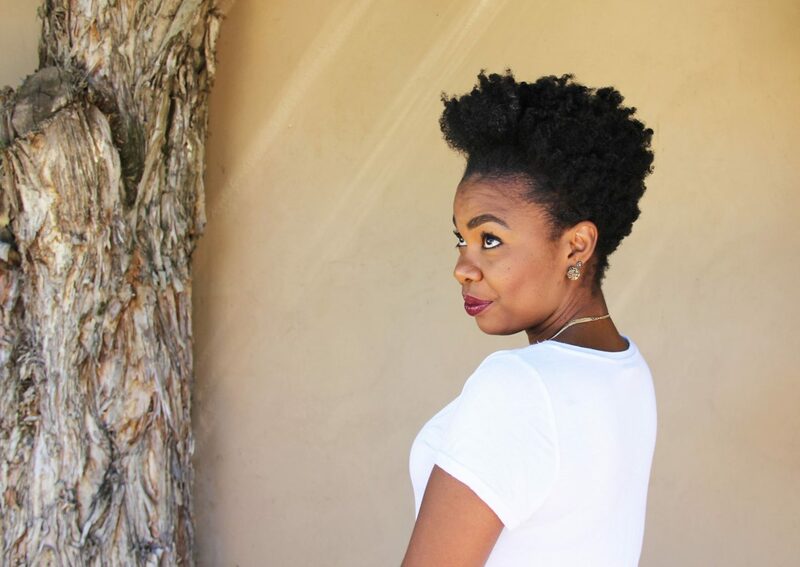 My hair reminded me that shorter natural hair needs different attention and care than longer natural hair. Just like I advise my followers transitioning from relaxed to natural, your TWA doesn’t behave the same as long natural hair (well, mine doesn’t). So try to be patient if you’re wondering why that bomb gel isn’t working on your twist outs anymore. Chances are, the weight of the longer hair gave it extra oompf to give you a certain look that you can’t really achieve now that you’ve cut it. So, be open to getting to know your fro again. All in all, this definitely shouldn’t be to dissuade you from cutting your hair. I still have no regrets and I don’t miss my longer hair. I love the style it’s in and it makes so much sense for me. I just want you to make sure it makes sense for you too. Are you thinking of big chopping again? What’s stopping you?